The policy, which is the part of NITI Aayog, aims to reduce the number of vehicles on the road with the introduction of modern shared transport system like air conditioned e-bus and e-autorickshaws. THIRUVANANTHAPURAM: The Electric vehicles (EV) or e-mobility policy draft received a sanction after few corrections from the state department of finance on Saturday. The draft has now been forwarded to the chief minister Pinarayi Vijayan for his consent. The EV-policy draft was forwarded to the government to get their sanction by the Transport Department which is currently handling the policy. The discussion on the version 2 of the policy began with the trial service of the electric bus in the Capital city on June 18. The policy aims to reduce the number of vehicles on the road with the introduction of modern shared transport system like air conditioned e-bus and e-autorickshaws. It is a part of NITI ayog, Jhunjhunwala commission which aims to move towards all electric fleet by 2030. The high vehicle population of over ten million vehicles on road in Kerala has made mobility a challenge, and it is accompanied by increase in road accidents and air pollution. The state government took several measures to ensure a sustainable development for its citizens like upgrading and widening the national highways to 45 meters and constructing a coastal highway. 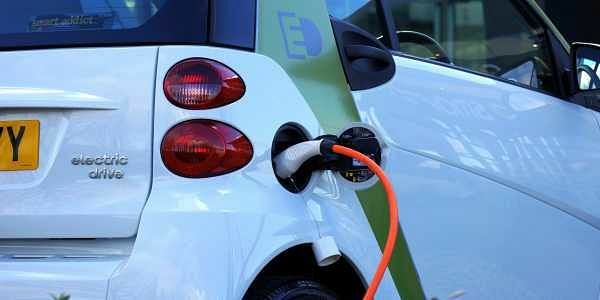 The transition to electric vehicles is the choice for the state in line with its development ideas as there is an urgent need to accelerate the use of clean energy technologies in various sectors, in order to address the global challenges of energy security, climate change and sustainable development. The other members involved with the policy are chief officers and secretaries of various departments including Kerala State Road Transport Corporation (KSRTC), Kerala State Electricity Board (KSEB), Kerala Infrastructure Investment Fund Board (KEIFB), Finance and Chief Industries. Each one has their own role in this policy. "The KSRTC has proposed for the transition of corporation's 50 per cent fleet of more than 6000 buses into EV by 2030. This is expected to substantially reduce heavy outflow due to fuel cost. The electricity cost per unit will be Rs 5. The corporation has also asked for permitting charging facilities for other public vehicles on payment," said Tomin J Thachankary, KSRTC CMD. KSRTC currently procures around 1000 new buses annually and is planning to replace these buses with EVs, charging infrastructure and innovative electricity tariff. To get these vehicles the corporation is waiting to enter into the central government's FAME II list that provides subsidies for EV's. "The KSEB is responsible to set up charging stations and provide electricity at feasible prices for the EV's. Initially it aims to establish charging stations at Thiruvananthapuram, Eranakulam and Kozhikode," said Pradeep, Chief Engineer of KSEB. According to the policy, the role of Industries will be to establish high tech manufacturing industries in areas like design, power electronics and IT components for EV's. Kerala focuses on growing its internal manufacturing ecosystem and turn away from being export-dependent, consumption driven economy. The air pollution due to particulate matter in Kerala though does not exceed the national guideline value, is substantially higher than the guidelines recommended by WHO. India’s transport sector is responsible for about 15 per cent of the country’s energy-related CO2 emissions and the accompanying impacts on air quality, public health, road safety, and sustainable urban development. This determined action needs to be initiated to impede the air pollution in Kerala.